Ada Bryon Lovelace needs to be acknowledged because she achieved in the discipline of mathematics what many of her female contemporaries were unable to. She was affiliated with the subject to such an extent that later she became known as the ‘Enchantress of numbers’. 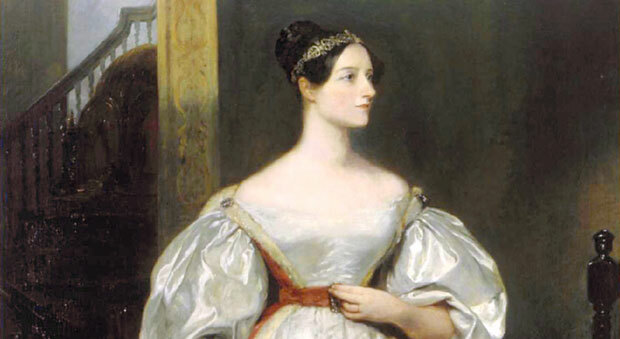 Ada Lovelace was born Augusta Ada Byron on 10th December 1815 to the poet Lord George Gordon Byron and mathematician Anne Isabelle Milbanke who self-named herself as ‘princess of parallelograms’. By the age of 8, Ada was skilled at building detailed model boats. By the age of 13, she had produced design for a machine that could fly. At the same time she was a talented musician, and constantly made efforts in learning how to play piano, violin, and harp, and had a passion for dancing, gymnastics, and riding. Her mother Anne however, was not very favorable to the idea of Ada Lovelace pursuing a career in poetry or any form of arts, so she ensured that unlike the usual system of education that was imparted to females within the boundaries of their homes, Ada received superior education. She was given high-class education in mathematics, music and science merely to decrease her poetic leanings. She was home-schooled in math and science by William Frend who was a social reformer, later by William King who was Ada’s Husband, and also by Mary Sommerville and Augustus De Morgan both of whom were celebrated mathematicians. She worked along with Charles Babbage and invented a computer program that she called “The plan”, which later became known as ‘The Analytical Engine of 1843’. Babbage had been invited to attend a seminar at the University of Turin where a mathematician Menabrea had translated his paper to French; this paper was later translated in to English by Ada Lovelace as per the request of Babbage who was deeply impressed by Ada’s logic and mathematical skills. The same notes which were produced by Ada after the period of a year also included her own contributions to mathematics, so they were composed of more comprehensive knowledge than Menabrea’s. The notes that were produced by Ada were allocated alphabets A to G. The wonder of the analytical engine that the countess had devised was discovered and established later. It seemed that it was constructed on the basis of an algorithm (present in Ada’s note G) that helped it compute the Bernoulli number series. Moreover, Ada also added estimates as to how this machine could be able to compose complex music and could also be used to formulate graphics. And nonetheless, it was the first ever of its kind to be modified in such a way that it could be used on a computer programmer. Ada married Lord William King, and had three children. She died of cancer in 1852 when she was only 36. Her proceedings on analytical engine were republished almost a hundred years after her demise. In 1979, a software language developed by the U.S. Department of Defense was named Ada to honor the countess’ relentless services to both the disciplines of programming as well as mathematics. Since 1998, the British Computer Society has awarded a medal in the countess’ name and in 2008; the society initiated an annual competition for females who are students of computer science. Lady Lovelace has also been depicted by the media in the film ‘Conceiving Ada’, a novel ‘The Difference Engine’ authored by William Gibson and Bruce Sterling as well as the web comic 2D Goggles designed by Sydney Padua. 3) McHale, K. 2011. Ada Lovelace: The Unauthorized Guide to the History, Life and Accomplishments of the First Computer Programmer. BiblioBazaar. 4) Alic, M. 1986. Hypatia’s heritage: a history of women in science from antiquity through the nineteenth century. Beacon Press: University of California.